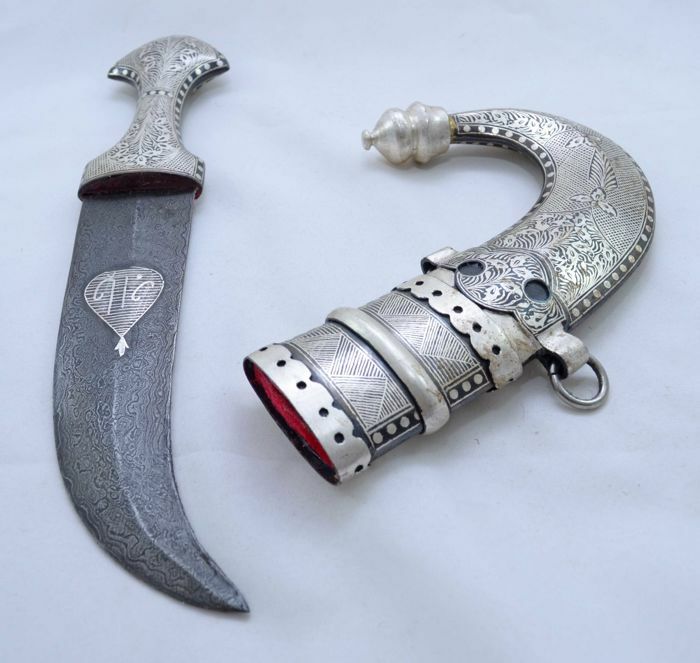 This beautiful Islamic dagger was handcrafted by an artist from Saudi Arabia. 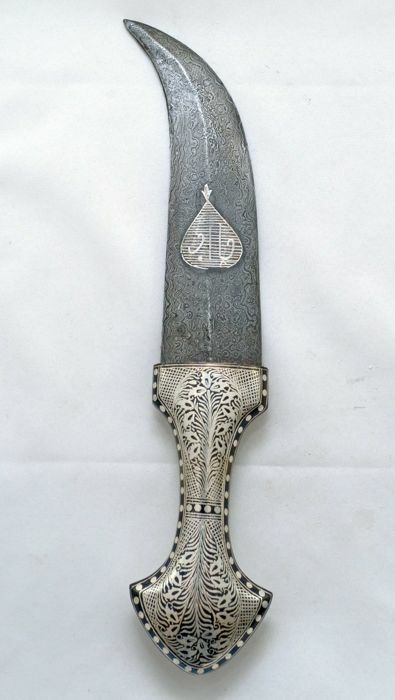 The dagger is made of steel. 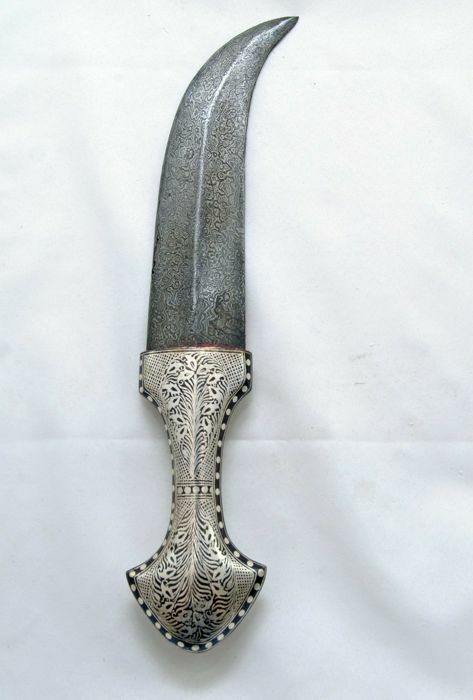 The Blade is made of high quality Damascus steel. 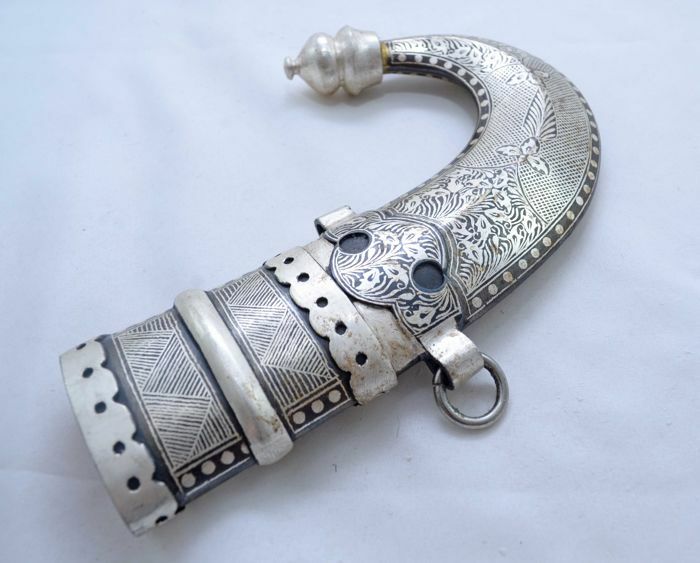 It was shaped in an angled form with 2 slopes. 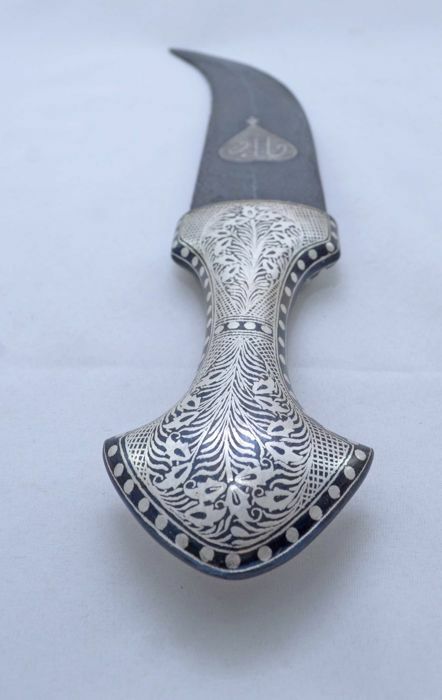 The artist's hallmark shows at the center of the blade. 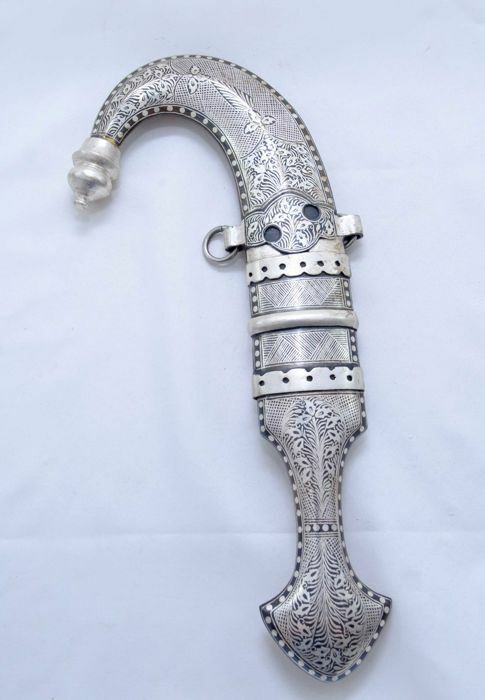 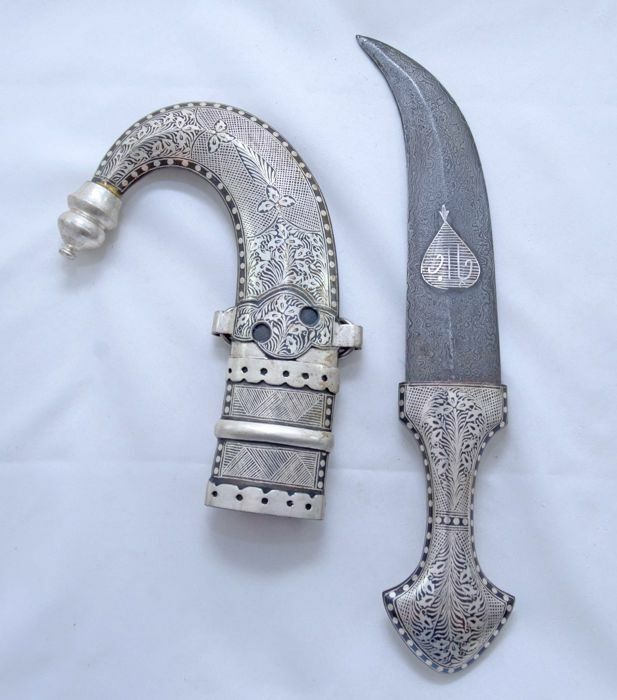 The sheath is made of steel with typical arabesque decorations. 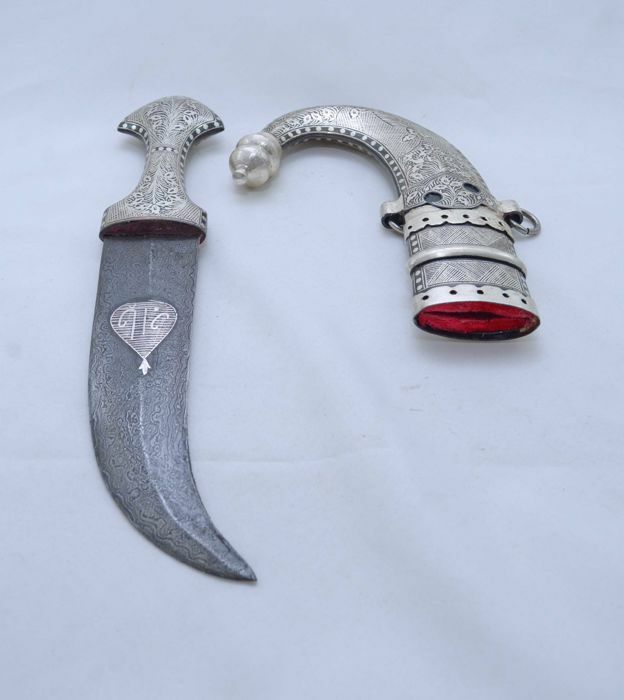 This dagger is in a very good condition. 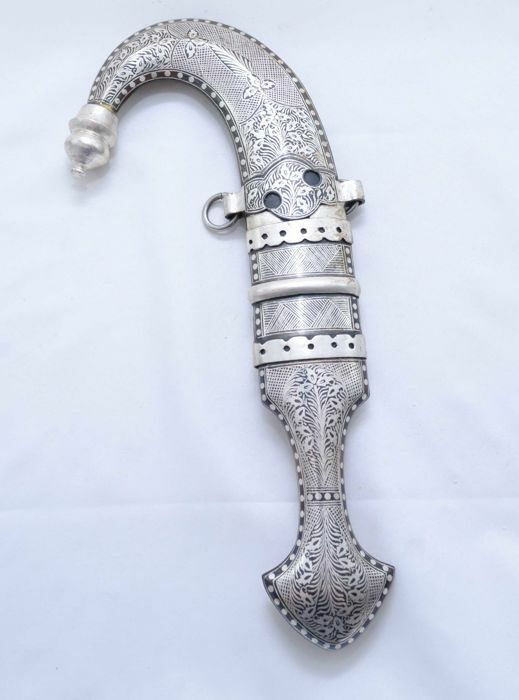 Puoi ritirare questo lotto direttamente presso il venditore: Ramat-Gan (Israel), Israele.